What is a dry day ? 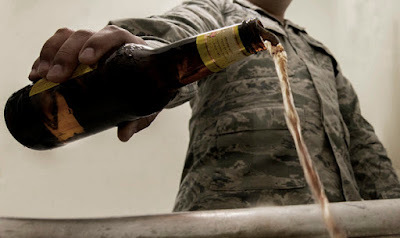 Dry day is a day when there is no sale of alcohol in a state or any location. These days are on the national holidays, restricted holidays and other days as decided by the government. According to the excise govt. orders, sale of alcohol is illegal on a dry day. These days are decided by the excise govt. that when and at which locations the dry day will be considered. Well these are the already decided dry days in Delhi or other parts of India. 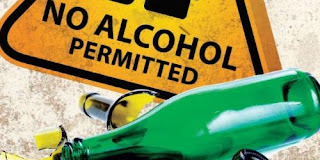 But these days are not limited and ban on alcohol may be applied on other days too. Like the elections also have impact on dry days. 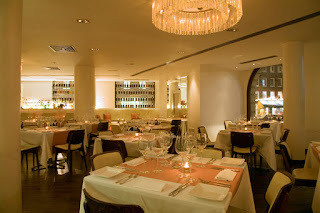 South Delhi is a luxurious and famous part of Delhi. 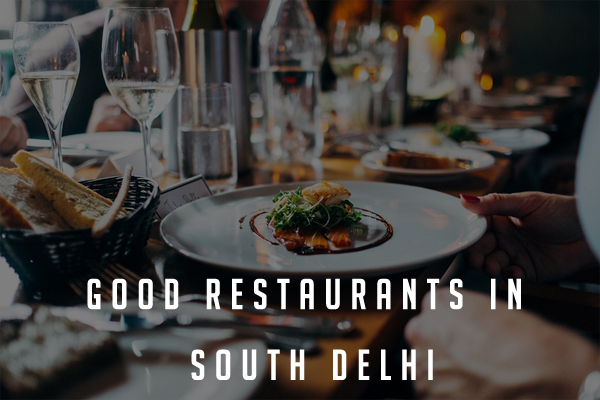 South Delhi has always been on the list of food lovers and it is a place of mouth watering and delicious food corner for vegetarians. 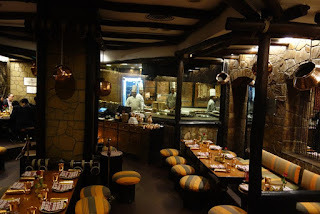 This article is about good restaurants in South Delhi. Well there are many restaurants in South Delhi, but we have prepared a delicious list of famous and good restaurant in Delhi where you can enjoy your special day with yummy cuisines. Also known as RDX, this is a no.1 destination of non-veg food lovers in Delhi. It is spread over a large area of Safdarjung Enclave Market. 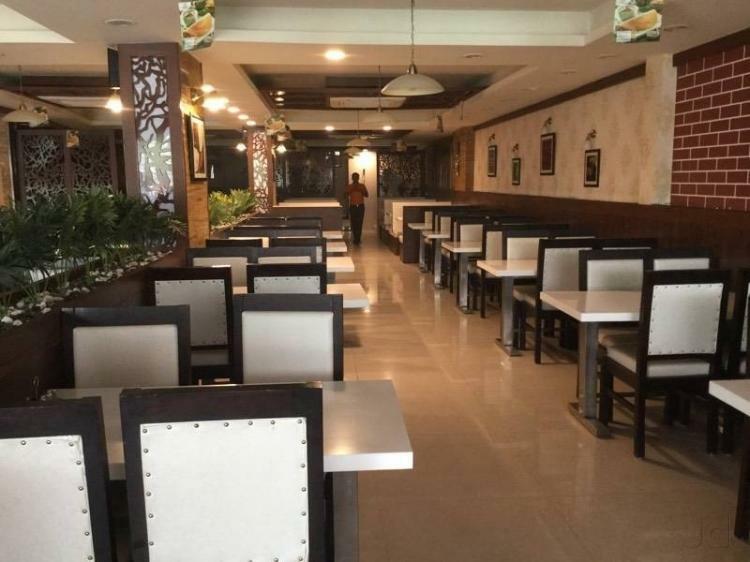 RDX is divided into bar, restaurant and open restaurant for eating. The best dish to try here is Mutton Curry. SGF is a good restaurant in South Delhi having carved a niche for itself in vegetarian food industry. This is the place which you will call a paradise for vegetarians. The food served is of great quality and awesome taste. Serving delicious North cuisines dishes from traditional and contemporary Indian cuisine. Whoever thinks that vegetarian food can't be tasty must give SGF a try. Dahi Kebabs & Rolls are the specialties of SGF Restaurant. Tamra, is a vibrant, lively and fun space that is suitable for all types of dining occasions. 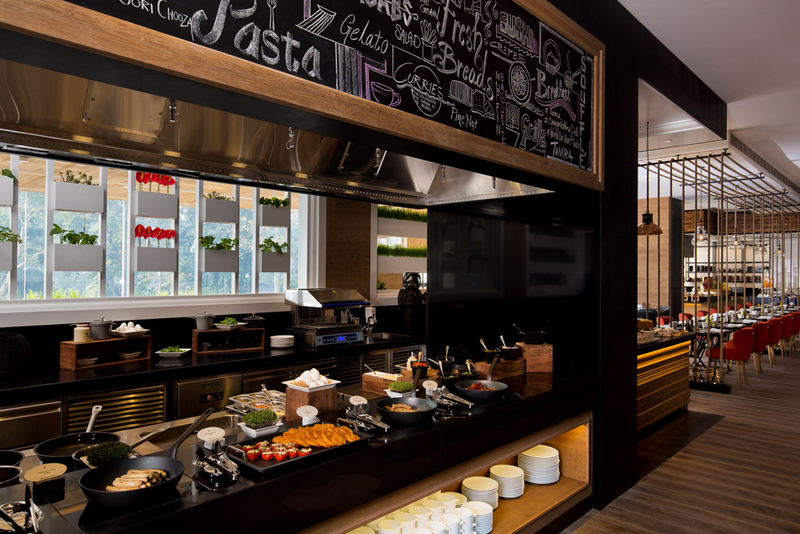 Offering a blend of modern culinary styles with friendly and engaging service, it takes its inspiration from the early ages of culinary evolution, when copper (tamra) vessels were used to create delectable wonders. 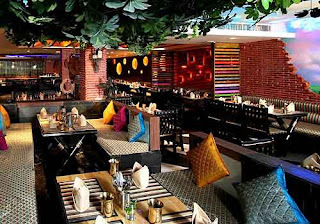 Pind Balluchi is the ideal place to satiate all your North Indian food cravings and transports you into the quintessential Pind of Punjab. Known across the country for its delectable North Indian Delicacies. All the food including veg and non veg are must try. 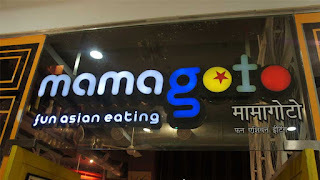 Mamagoto's food is not authentic (there's no such word in our dictionary, it sounds too serious); instead it is a fusion of inspiration from Asian street hawkers, our extensive travels, mad experiences and endless experimentation in those secret kitchens located deep within the core of the Earth (and you thought the Batcave was secret). The Achaari chicken Tikka and Dal makhani is a signature dishes of Moti Mahal, and must not to be missed. 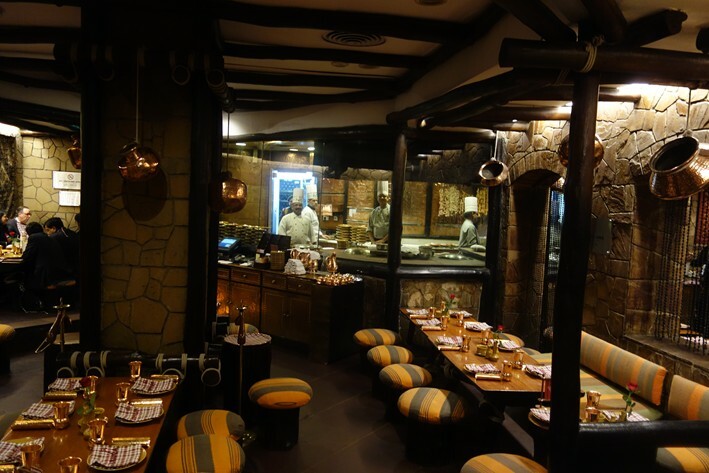 Moti Mahal is a well known food chain in Delhi and services quality food without compromising with the taste. 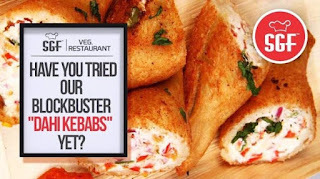 The first name in South Indian Food that comes to mind is "Sagar Ratna". 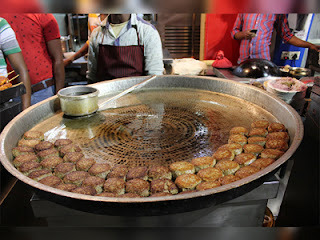 The must – try dishes at any of Sagar Ratna restaurants are the Mini Idlis dipped in sambar, Medu Vada, Dahi Vada, Masala Dosa, Rava Onion Masala Dosa, Mysore Masala Dosa, Rava Kesari. The nascent coffee aroma emanating from the filter coffee, served in the traditional steel tumbler and saucer is another specialty of Sagar Ratna. Find everything from our world famous Baby Back Ribs or chili to hand crafted sandwiches, enchiladas, and quesadillas. 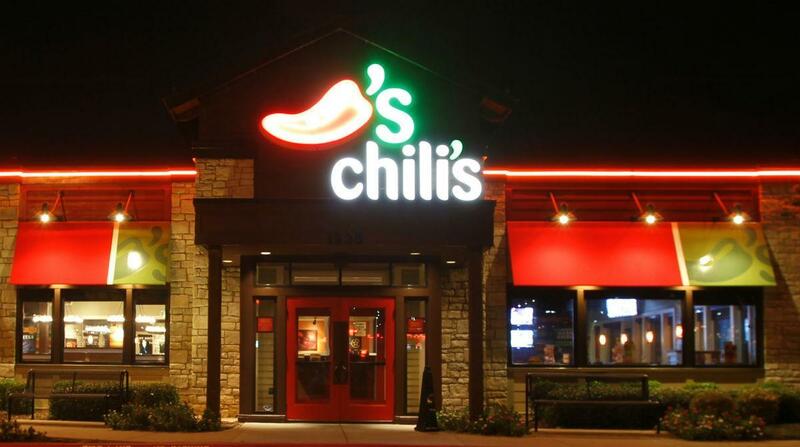 One must visit this restaurant to explore even more dishes. 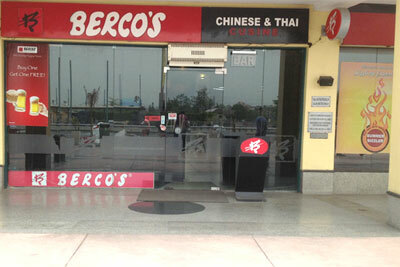 Berco's is one of the most distinguished names in the culinary world as far as Chinese & Thai .We believe in giving our customers finest quality ingredients cooked under hygienic conditions at a reasonable price. We believe in giving our customers finest quality ingredients cooked under hygienic conditions at a reasonable price. Dr. Dinesh Singhal is leading pediatrician of Dwarka, Delhi. He is practicing as child specialist from last 15 years. For last 11 years ,he is providing exceptional child health care services including vaccination and new born care.The aim of the clinic is not only to treat the patients with diseases but also interact actively with the parents for providing preventive care. Dr Sricha Sharma Child clinic is an established name in the field of Child Care . Clinic provides consultation for all pediatric diseases . At the clinic , all vaccinations available with latest technology for all age group . With the help of their website you can track the progress report of vaccinations of your child and other necessary medical reports from your home . Kumar Child Clinic was established by Dr. Puneet Kumar in 2008 with a mission to provide exceptional Child Health Services to the population of subcity of Dwarka (New Delhi) and beyond. The philosophy of the Clinic is to not only to treat the diseases of the newborn, infant, child or the adolescent, but to actively partner with parents other family members in promoting good health in every possible way. Dr. Kalpana Aggarwal is leading obstetrician and gynecologist with vast experience of 20 years. She treats all high risk pregnancy cases with good outcomes. She has good expertise in normal delivery and is master of Laparoscopic & all Gynae surgeries. Dr. Aditi Singh is a pediatrician, in Delhi and has an experience of 12 years in this fields. Dr. Aditi Singh practices at Dr. Nanda Eye Care center and HCL Healthcare center at Dwarka, Delhi. She completed MBBS from Sri Ramachandra Medical College in 2002 and Diploma in Child Health (DCH) from Sri Ramachandra Medical College in 2006. Further she did MRCPCH (1), from Royal College of London, UK in 2015. Dr. Sharwan Gupta is on the list of Top 10 Pediatrians in Delhi and has more than 30 years experience in the field of Pediatrics. He is a specialist in childhood immunizations and Vaccinations, Nutritional assessment of kids, kid’s developmental assessment, patient counselling, treatment for bronchial Asthma in kids. He consults at Kinder Care, Vikas Puri, Delhi. He is available for consultation in his clinic from Monday to Saturday and his consultation fee is INR 500. He is one of the best pediatricians in Delhi and is a Gold Medalist in pediatric medicine. He is more than 15 years experienced and specializes in treating infections in New Born and Children. He immunizes his clients based on latest and international practices, and diagnoses ailments in children promptly. He also offers the most effective and accurate treatment plans based on the keen needs of the newborn and children. He consults at Kidz Care Clinic, Madhu Vihar, Delhi. Dr.Manu Agarwal is an eminent pediatrician who also holds post Doctoral observer-ship in pediatric and Adolescent endocrinology. He is practicing as a senior pediatrician at Max Group of Hospitals. He is able to offer holistic medical care for children and adolescents along with immunizations. He handles growth and puberty related problems in children, cure diabetes in kids, manages thyroid diseases, addresses obesity and overweight problems and manages PCOS and Menstrual disorders in adolescent girls. His clinic is located at Vasant Kunj, he consults here from Monday to Saturday and his consultation fee is INR 800. She completed her MD in Pediatrics at Safdarjung Hospital, Delhi and is one of the best doctors in pediatrics. She is able to manage all ailments in children and adolescents. She keeps experimenting with technology to enjoy better outcomes, and thus maintains digital health records for her clients. She is an expert in treating childhood infections, evaluating growth and development in kids, newborn care and vaccinations, managing infant and child nutrition, etc. She consults at Dr.Anju Bhasin’s clinic, Vasant Kunj, Delhi. Fine Interior Designer is one of the best Home Interior designer in Delhi. Fine designer is advanced as well as offers attractive designs with lasting effects and custom personalised solutions. They are best interior designers & their creation or designing is meaningful & personalised and bespoke services like floor plan, 3d interior designs, site execution & know how to create maximum visual effects for residential or commercial interior projects to use minimum cost. Shobha interior designer is one of the professional home interior designer in Delhi. Shobha Interior Decorator & Contractor has decided to take the launch into the World of Business by following their Passion for designing creative and symmetrical spaces in line with latest design materials and technology. Futomic designs helps you create your dream home. With their vast experience and knowledge of residential interior projects, they are able to come up with stunning designs that are practical and user friendly same time. Each area of your house will be carved exclusively as per customer taste. Address: LG-07, Ansal Plaza Mall, Dabur Chowk, Vaishali, Delhi. Resaiki is the leading leading home interior designer in Delhi, Noida, Gurgaon, Meerut and Ghaziabad region offering premier services at the most affordable prices. They assure you the best services and support in terms of planning and designing your residential interiors. Traditional Interior Designers and Architects in Delhi Noida NCR. They are an interior designing firm based in New Delhi. Best Home Interior Designers in Delhi, Noida, and Gurgaon. Their interior design consultants will help you design your Dream Home, Corporate offices, Restaurant, Showroom, Play School, Hotels. Shruti Sodhi Interior Designer provide a range of services in architectural consultancy, luxury tiles, luxury bath fitting, kitchen accessories, chimneys, designer wardrobes & almirahs, designer showrooms & stores, adhesives, epoxy, grunts and chemicals. Serving as retailer and wholesaler for all these services, they also assist in architectural consultancy and Turnkey Interior Projects for Homes, Offices and Stores. Donaire interior is a leading home interior designer in Delhi. Their specialty at Donaire is wide-ranging and integrated designing services for elite class in India. There are professionals begin at the point when your dream is just an idea. Then, they implement the collaborative designing procedures, ultimately providing you with the finest services in the town. Address: SS-34 Aditya mega mall, Opp Kempinski Hotel, CBD Anand vihar. Delhi 110092 . Monica khanna designs is the leading home interior designer in Delhi. Their client’s needs and sensibility is pivotal to our dream home creations. We combine a uniqueness in style with the nitty-gritties of the practical and functional to make our creations hugely distinctive. They are truly signatures of timeless appeal, with a stamp of minimalism and beautiful functionalism. They offer superior service and a better end-product than our competitors, and have a track record to prove it. This is only possible because of the talented individuals that make up the MAD Team. designs, workings electrical and plumbing details, 3d views using auto cad, interior design & 3DS max.